A Shot I Like … Spotted Lake. This is a local lake near Osoyoos, BC, the unique thing about this like is the cool mineral pooling effect that it has covering it. For years this lake has been used in ceremonial celebrations by the native community because of the high mineral content and the supposed healing properties of the mud found there. It is a different sort of site, but one the causes me to slow down and take a look every time that I drive by! 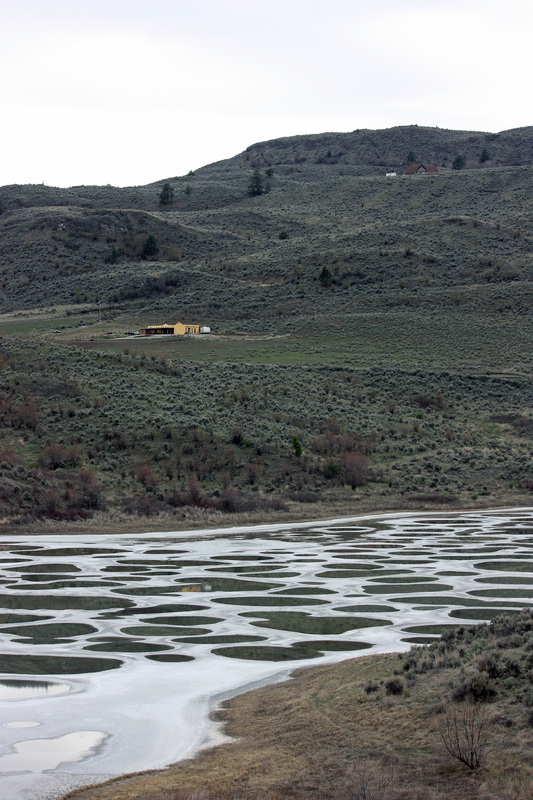 Forever my mental photo gallery of the Okanagan will include this little “Spotted Lake”.